The most significant change to these rules concerned the tiered rate structure that determines the electricity rate many Californians pay. Before the CPUC ruling, there were four different tiers SDG&E customers fell into, depending on how much electricity they used. Customers falling into the lowest tier paid the lowest rate. Others that generated more monthly electricity fell into the higher, gradually more expensive tiers, to the point where rates on fourth-tier customers were twice as high as those in the first tier. The point of this was simple: incentivize electricity users to use less electricity. The new rules, however, change that four-tier system into a disincentive to conserve, in the form of a two-tier system, where the difference between the two tiers is far more forgiving compared to the previous system. The second tier charges only about 25 percent more than the first tier, removing much of the incentive for big users to conserve. This means that the tier you fall into—and by extension how much electricity you use—now matters far less. SDG&E strongly advocated for this new two-tiered plan. The company claims it lobbied for this change in the name of its customers, but does that sound like the ethos of a shareholder-beholden energy monopoly? So what could be SDG&E’s motivation for aggressively lobbying this plan for the last three years? Fighting for its customers seems dubious, because it’s not as though there’s another energy company in town that residents can switch to if they’re dissatisfied with SDG&E. Rather, their push for a less progressive rate system seems to be yet another move by SDG&E to disincentivize the switch to solar energy by customers. What could be more efficient than producing one’s own power on site – no transmission infrastructure needed. Under the four-tier system, many residents had the opportunity to cut money from their electricity bill by installing solar panels, since often just a small amount of savings could move one into a lower, less expensive tier. Now, the financial benefits of “going solar” have been all but erased. The previous four-tier structure made it likely that residents generating a modest amount of their own electricity would be enough to move into a less expensive tier. Under the new system, however, most residents won’t fall near the border between the two tiers where a bump from solar will move them down into the first tier, so generating clean energy at home may stop making financial sense to many. To be sure, there’s no shortage of non-financial reasons to generate clean energy, like reducing our individual carbon footprints. However, not all residents in San Diego have the resources to invest in solar panels for purely altruistic reasons. SDG&E knows this, and they’re doing their best to sway residents into staying 100 percent on the grid by removing the incentive to go solar. I wish I could say SDG&E has changed its tune on opposing solar energy, but now the company is back with another push against solar, proposing detrimental changes to California’s Net-Energy Metering (NEM) program, which benefits solar energy users that generate more power than they use (perhaps the state’s most important incentive to encourage solar energy). NEM does this by essentially allowing customers to cancel out a portion of their energy bill by generating their own clean energy to sell back to the utility. 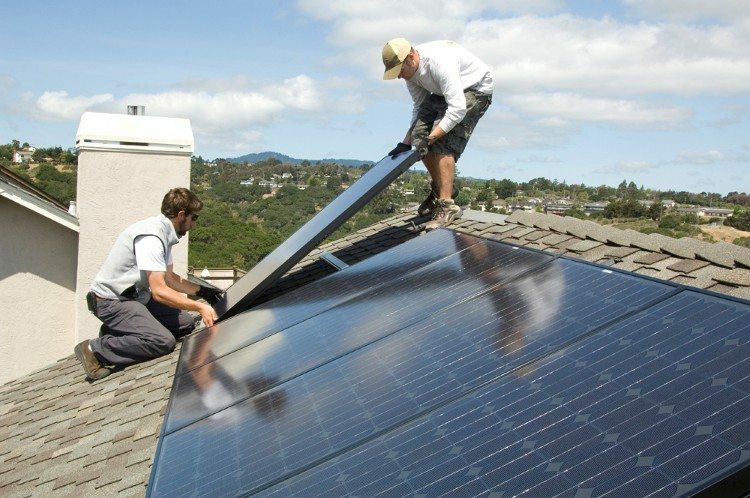 The changes to the NEM program proposed by SDG&E would undo much of this boost for solar users by hiking rates on homeowners generating solar energy, and by reduce the price SDG&E pays solar-generating customers for the energy they produce. Rather than rewarding these customers for using solar power to bring more energy into the system, SDG&E says they’re overburdening non-solar customers whose electricity bills fund the grid. This isn’t just an overstatement on SDG&E’s part; it’s an intentional tactic to create uncertainty among San Diegans weighing the costs and benefits of solar panels. Because of this, prospective solar users are left wondering what the economic benefits of going solar will be. SDG&E knows creating this uncertainty works in their favor in a region whose booming solar industry is a testament to the effectiveness of NEM. If SDG&E has its way, our solar market may go the way of Arizona’s, where companies reported a 95 percent reduction in solar applications after a large utility began charging solar users a $60 fee similar to what California utilities propose. So why would SDG&E want fewer of their customers using solar energy? Customers generating their own energy creates disruptive effects on the grid that poses serious concerns for the existing utility business model. This is especially true in a region like San Diego, where more than 5 percent of customers are generating their own clean energy, which is among the highest proportion in the country. SDG&E has genuine concerns for its current business model. Real changes will have to be made to keep them functioning within their outdated framework. Regardless, residential solar usage should continue to be incentivized, as we’re surely just beginning to explore the true capacity of solar energy. The burden should be on utility companies to adapt to clean energy users, not the other way around. It’s past time for us to speak out about SDG&E’s false flag on solar energy. CPUC must resolve the debate on NEM before the end of the year, which means this month is critical for San Diego’s clean energy future. SDG&E can no longer be allowed to get away with superficially praising solar while cynically opposing any clean-energy incentive that threatens its profit margin. Until SDG&E stops undercutting efforts to expand solar, the San Diego region must continue to lead on responsible, environmentally friendly energy production in spite of its utility company.